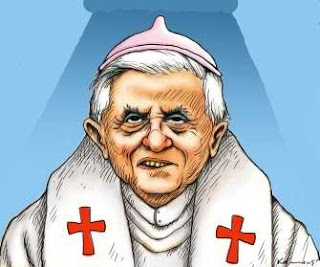 The old and frail Pope lay dying in the hospital. For years he had faithfully served the people of the world. He motioned for his nurse to come near. “Yes, Father?” said the nurse. “I would really like to see Robert Mugabe and George Bush before I die,” whispered the Pope. “I’ll see what I can do, Father,” replied the nurse. The nurse sent the request to them and waited for a response. Soon the word arrived. Robert and George would be delighted to visit the Pope. As they went to the hospital, George commented to Robert “I don’t know why the old man wants to see us, but it will certainly help our images.” Robert couldn’t help but agree. When they arrived at the Pope’s room, the Pope took Roberts’s hand in his right hand and George Bush’s hand in his left. There was silence and a look of serenity on the old Pope’s face.